Bigstrong 12 by Grapplearts Enterprises Inc. PASS THE GUARD OF BIGGER, STRONGER OPPONENTS IN NO GI! This is the 12th app in the How to Defeat the Bigger, Stronger Opponent series. 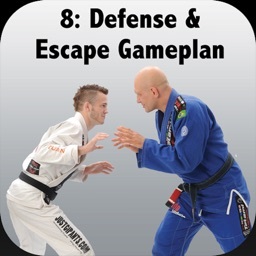 These apps give you the techniques and strategies you need to defend yourself against, and defeat, opponents much larger than yourself using the art of Brazilian Jiu-Jitsu. Passing the guard is the key to dominating and submitting opponents of any size. On the one hand, in no gi you can take advantage of the inherent slipperiness and the lack of control to advance your position. On the other hand, though, you don’t want to ignore the points of control that that do exist. In fact, the no gi environment makes those few remaining points of control even more important. In Volume 12, No Gi Guard Passing, Emily shows you how to combine advanced guard passing strategies with simple tweaks and techniques that allow you to cut through the closed, open and half guard in a no gi situation. 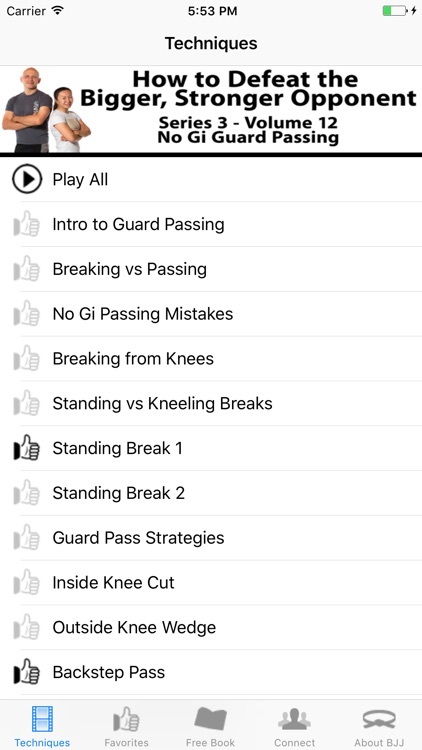 These guard passes work reliably even if your opponent has a significant size and strength advantage over you!